Hidden Figures has taken over the pop culture zeitgeist and it all takes place right here in Virginia ! 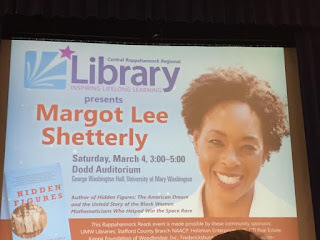 I'm not sure how I missed that Shetterly was going to be doing a Q&A and signing at University of Mary Washington , but when my dad (of all people) told me about it, Kat and I took the short ride up to attend. I knew this was going to be a big event, but I didn't realize how big until we started looking for parking. 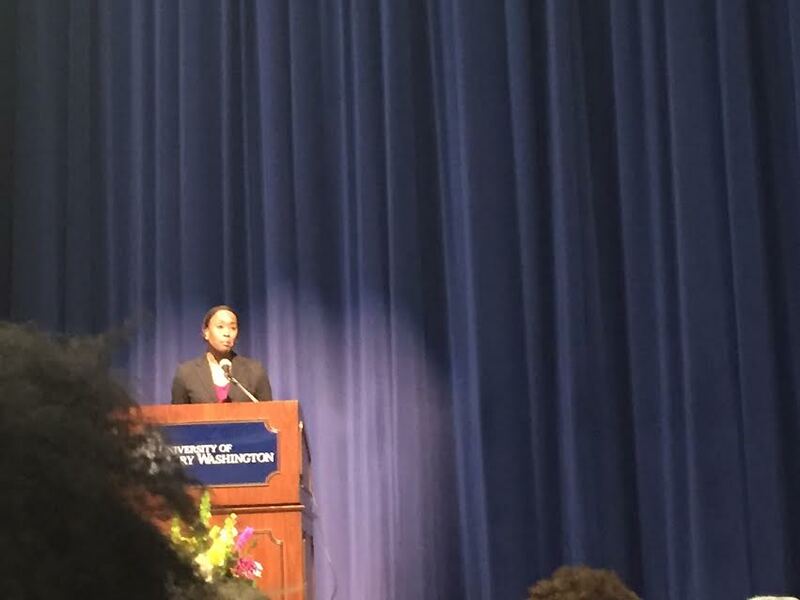 Hundreds of people of all ages and backgrounds descended on The University of Mary Washington campus clutching their copies of Hidden Figures in their hands. The UMW auditorium seated 1200 and it was standing room only. 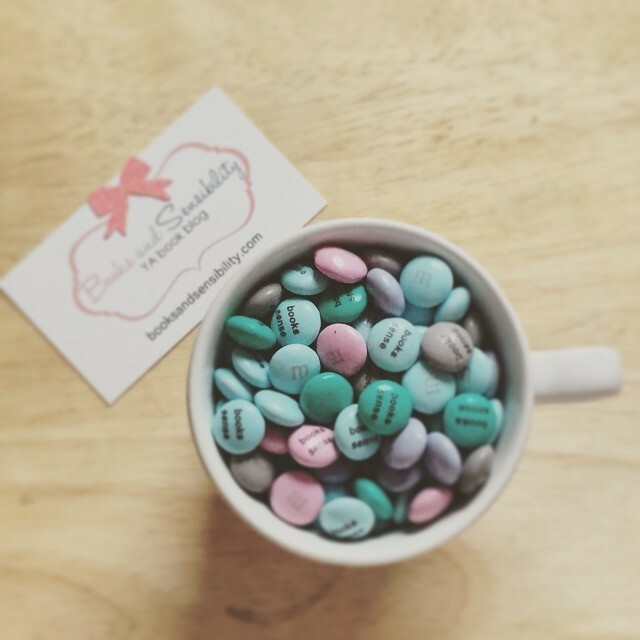 Shetterly gave a brief overview of her work and what it meant to her. And because both Shetterly and Hidden Figures have strong ties Virginia it was a family affair. Descendants of Mary Jackson were in the audience as well as Shetterly's parents and some of her childhood friends. Shetterly even let it drop that Hidden Figures is part of a trilogy about black figures in mid-century America. I don't have to tell you the line for the signing was massive. Out of all the public book events I've been to I've never seen a line like this. The Rappahannock librarians did an amazing job with this event. I think one librarian was dressed for the part with her string of pearls and a-line skirt. "There weren't even this many people when I went to a Kurt Vonnegut signing."